Module for massively linking documentation files in the product sheet. 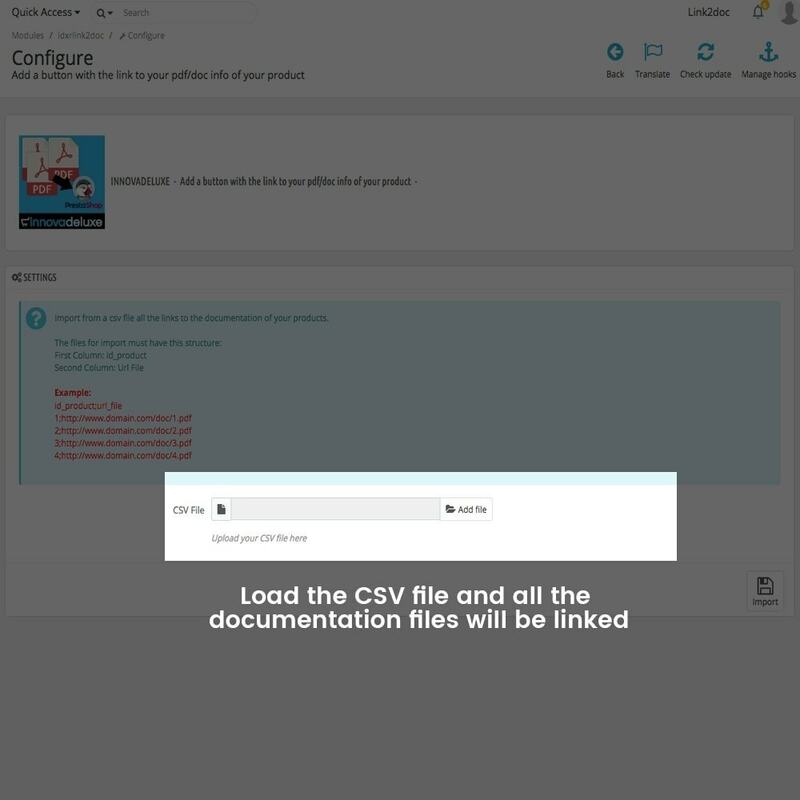 Using a CSV file with a list of documentation files and the product ID, the automation of the documentation link to the product sheet is automated. 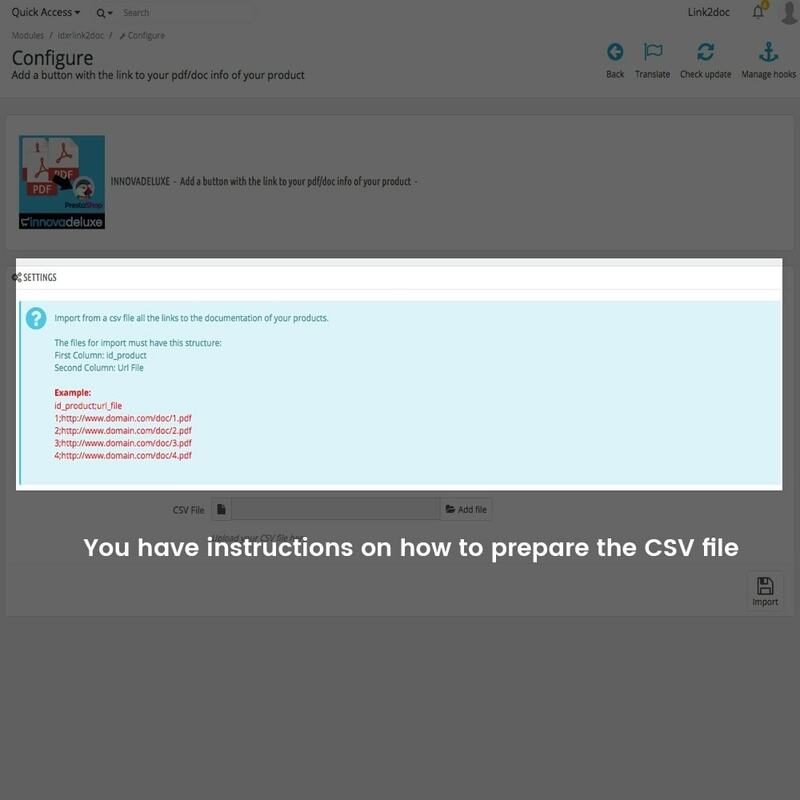 With this module you will be able to load a CSV file composed of only two columns, in one you will put the product ID and in the other column the link to the documentation that you want to be available on the product tabs. Documentation files can be hosted on your server or can be hosted on any other external server, when the client will download the documentation, it will be downloaded from the server where the files are hosted. Very useful not to overload your file server, being able to link the documentation directly from the server of your product provider for example, or from a free server in which to upload the files and avoid consuming more bandwidth and transfer monthly in your server. You can save several hours with this module. 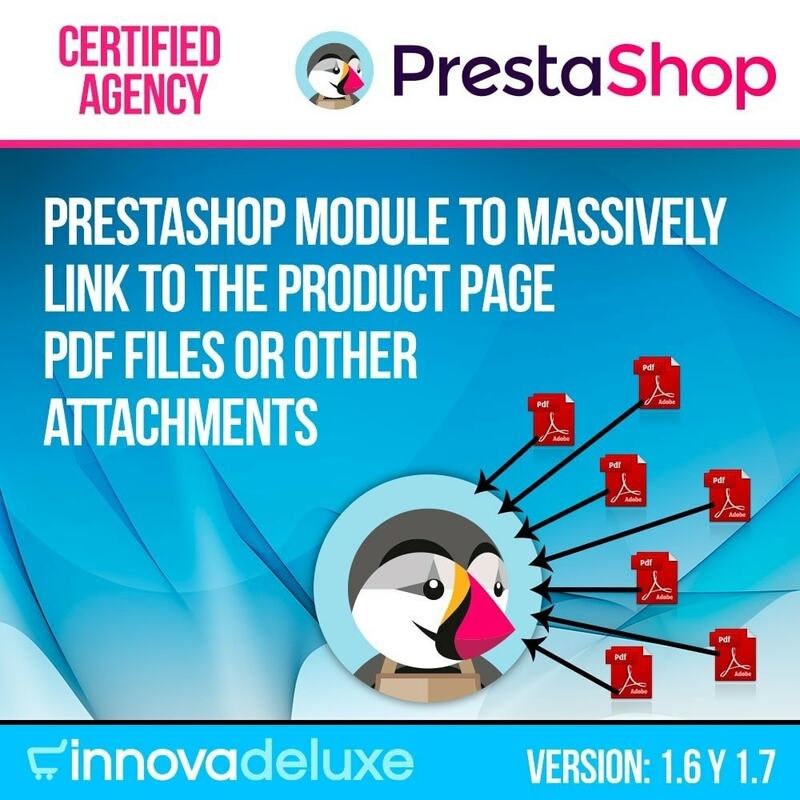 Generating a CSV file with all the links to the documentation, it will take many less hours to have everything available than if you had to upload each file one at a time to the PrestaShop attachment functionality. 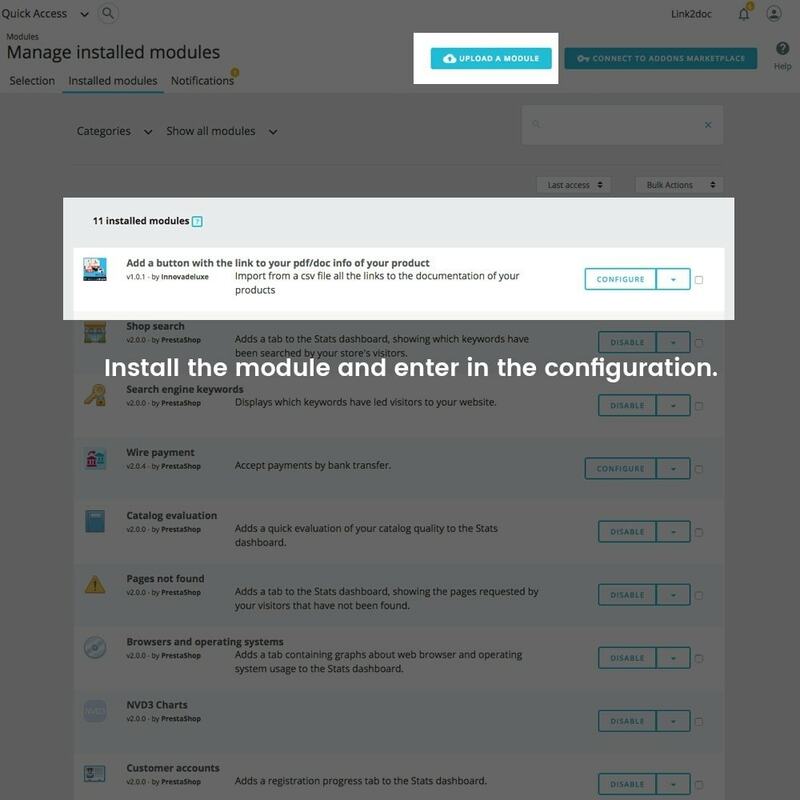 The way to operate this module is very simple, you just have to prepare the excel CSV file following the instructions given in the module configuration and once you have it, you only have to import the file into the configuration and you will automatically have the documentation available in the product sheets. Thanks to the fact that it will take very little effort to keep the documents updated, your customers will have all the documentation they need always available in the product sheet. Being satisfied with the information offered and his user experience will be satisfactory.